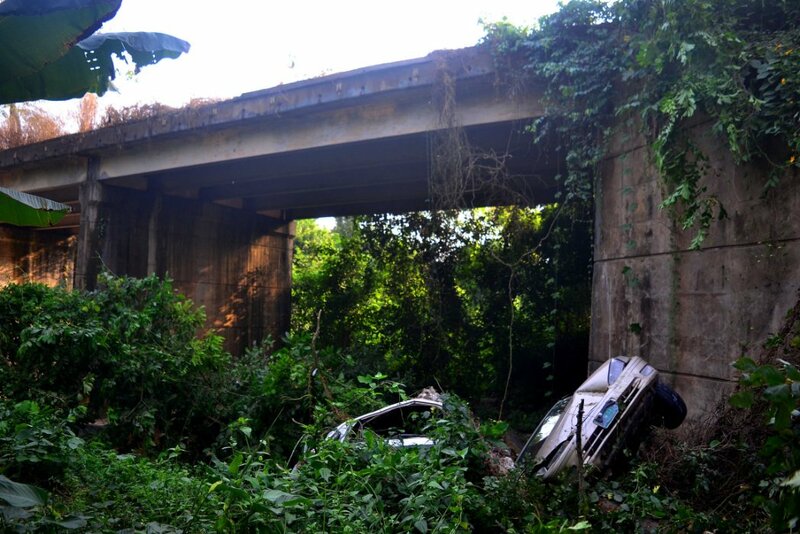 Man Came Out Unhurt As Trailer Pushed His Car From The Bridge Top To The Bush - AutoReportNG "AutoReportNG-The No 1 Car Blog In Nigeria That You Can Trust - AutoReportNG"
If you are opportune to have a car and you drive safely and sound without any form of accident, you don't know God has done for you. 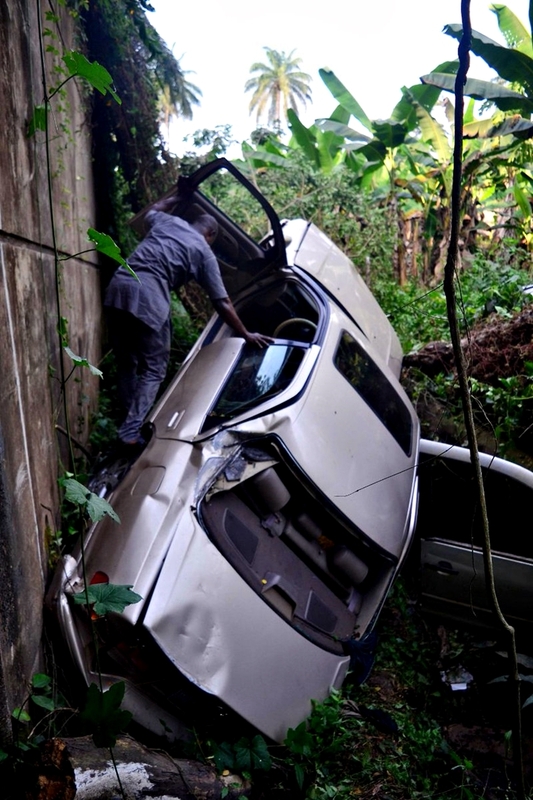 A man named Bunkunmi has taken to the micro-blogging site, Twitter to thank God for the safety of life and those of his car occupants. According to him, Who says God doesn't answer prayer? I and all occupants of the vehicle came out unhurt. The car is said to have been hit from behind by trailer at Ijebu Ode. 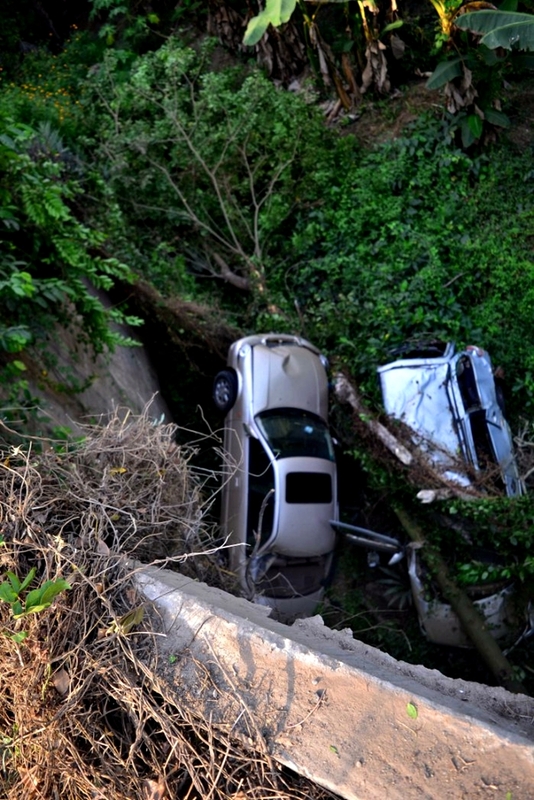 The car swerved from the bridge all the way down to the bush and the occupants all came out alive and see.